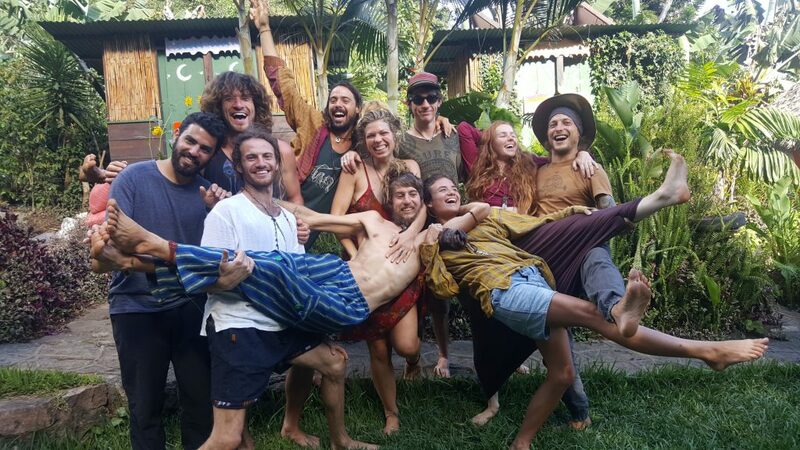 Join the community at the Mystical Yoga Farm as a volunteer or work trader and be a part of our intentional and beautiful family! Stay with us and bring your unique gifts to share in co-creating magic. If you have an interest in sharing your skills and experience, learning, and living in a relaxed yet intentional space, you will find good times here! Contribution: Daily Classes for local workers, and staff. Requirements: Passion for Vegan food, able to work in a team. Compensation: Accommodations, Food, Monthly stipend. If any of these roles call to you, and you feel you are equipped with the needed gifts to fulfill them, please reach out to us via our contact form! We'd love to hear from you. Our Karmic Yogi Volunteers are the lifeblood of the farm. They help keep things running smoothly, and help the community grow and thrive in ease and flow. They are critical to helping out with projects around the farm, holding space for and assisting our beloved guests, and contributing to the overall energy of the community. We are off grid and solar powered, and we grow lots of our own food. To keep the farm and the program flowing, our volunteers also contribute a financial donation to be a part of the community. We provide daily yoga and meditation, three epic vegan meals a day (homegrown and organic wherever possible), unlimited herbal teas, an abundance of workshops and ceremonies including temezcal, cacao medicine, sound healings, and of course accommodations. Our volunteer program has a one month minimum commitment. The first 2 months are $10 USD a day, and after that if you still want to stay, you’re a part of the family and don’t need to pay! We work very hard to maintain a healthy and sustainable environment for our community and guests and expect the same from you throughout your time here. The core of the farm operates from a high vibration and we ask that you serve the farm with love and an open heart. We ask for dynamic people that are independent enough to progress with tasks with limited guidance from your tribal leader. At the same time we need team players that are willing to contribute or help with tasks not related to your project. We are a peaceful community with a no drug and alcohol policy. If you have affairs that require you to be routinely distracted from your learning experience. If you have an addiction to the internet/phone. If you are ill prepared to live in a natural environment with bugs and spiders. If you lack the skills required to self-motivate yourself. We have many people who apply to be a volunteer in our program, and only a limited amount of space available. For this reason, it is important for us to ensure that all people we accept for our volunteer program is the right fit for our community and will be a good contribution to our team. In order to ensure the farm functions at it's optimal level, we would like to get to know you a bit more. Please take your time and answer our short questionnaire by copying and pasting the below questions (and your answers) into the contact form below. Please answer in as much detail as you can. Thanks, and Namaste! 1. How did you hear about the Mystical Yoga Farm? 2. What draws you to want to live and work here? 3. Do you have a spiritual practice? Please describe. 4. Have you ever lived/worked in an intentional community? What inspired you about it, and what was challenging for you? 5. Do you have experience traveling in foreign countries? Do you speak Spanish? 6. What can you offer to the community? 8. How would you describe your work ethic? 9. How do you work with others? Are you more of an independent or group-oriented worker? 11. What are you passionate about? What inspires you, makes your heart sing? 12. Do you like cacao & tea? 13. Do you play music or sing? 14. Are you comfortable living off-grid with no wi-fi? 15. How do you care for and protect the Earth? 16. What kind of lifestyle do you live? What kind of lifestyle do you want to live? 17. What are some of your goals right now? For the future? 18. Are you comfortable with a vegan diet? 19. Please describe yourself in one paragraph. 20. What are some words that others often use to describe you? 21. How do you practice conscious communication? 22. How do you deal with conflict? 23. Do you uphold agreements and stay true to your word? 24. When and how long would you like to stay? 25. Do you have any questions or requests? 26. Is there anything else you'd like to express? Given the remote nature of our beautiful and sacred land, we kindly ask for your patience and understanding when it comes replying to your message. We respond to all inquiries as soon as possible, and always endeavor to answer within 48 hours (Monday through Saturday). We can't wait to connect with you!